If you were to write up a genealogy of your family, you would follow certain rules or conventions. You are of your own times. When the author of Genesis wrote genealogies in those seven chapters, he too followed certain conventions. He was of his own times. Part 5 of 5 in a series on Gen. 1-11. Let’s get right to the basic data; then we will interpret them. In each table, notes or comments are inserted at the bottom. Modern generation family chart. You use it to follow modern conventions and format. The author of genealogies in Gen. 5-11 followed the format and conventions of the ancient Near East. Tȏlědȏt (generations): basic meaning is beget. Harris, Archer, and Waltke say it means descendants (378). So ten is the organizing principle of the entire book of Genesis—including the heavens and earth! Wenham suggests “biography,” in lieu of “family story” (p. 77 in Halton). Therefore, all of Genesis is a sequence of family stories (or biographies). Table: James K. Hoffmeier 29 (in Halton). Ten is the organizing scheme of the “godly” line (Seth, not Cain) from Adam down to Noah. As seen in Table One, ten is a feature of genealogies in Genesis because it is a feature of the larger ancient Near East (see below). Column one: Seven is by far the most frequent number in the Bible generally. Lamech’s three sons were herdsmen, musicians, and metalworkers. Cain feared sevenfold revenge, and consider Lamech’s seventy-sevenfold revenge (4:24). After Noah the linear (vertical) list becomes segmented and names his sons: Shem, Ham, Japheth. In the first column, Adam’s descendants start with Cain, so this is the “ungodly” line. Abram / Abraham does not descend through them (and neither does Jesus). The ages of Cain’s descendants are not provided, while the ages of Seth’s lines are (see Table Five). The two linear lists of Adam to Abram is Jesus’ line in Luke 3:33-37 (except for the additional generation of Cainan between Shelah and Arphaxad. One interpretation of their long years is that before the flood they did not feel the effects of degradation as much as people did after it. However, Adam’s line through Cain do not mention their ages, indicating that the line was not blessed. So maybe the better interpretation is not to focus on the longevity or the numbers, but on the sacred dimension. The author “absorbed” long-age concepts (but reduced greatly) from ancient Near East (see Sumerian King List, Tables Six, Seven, Eight, below). No one exceeds 1000 years, an indication that Scripture refuses to accord godlike status to humans, in contrast to surrounding cultures, so the Genesis author did not follow his culture entirely. As seen in Table One, ten is a feature of genealogies in Genesis, as it is in genealogies and lists in the ancient Near East. Ten functions in the same way from Noah’s son Shem (cf. Semites) to Abram. The Semites (Shem) are the only line that tells their ages. They also lived a long time. The other lines descending from Noah do not list their ages. What does this indicate? They are not the chosen lineage, so they did not live as long? In any case, the Semites are God’s chosen line. This linear list of Adam to Abram is Jesus’ line in Luke 3:33-37 (except for the additional generation of Cainan between Shelah and Arphaxad). In v. 26, though, the linear (vertical) list becomes segmented (horizontal) and names Terah’s sons: Abram, Nahor, and Haran, but only Abram is chosen by God, so ten generations to the main character. Eber (no. 4) is where “Hebrew” comes from. Cush, Mizraim, Put and Canaan. Elam, Asshur, Arphaxad, Lud and Aram. Uz, Hul, Gether and Meshech. Cush was the father of Nimrod, who grew to be a mighty warrior on the earth. He was a mighty hunter before the Lord; that is why it is said, “Like Nimrod, a mighty hunter before the Lord.” The first centers of his kingdom were Babylon, Erech, Akkad and Calneh, in Shinar. From that land he went to Assyria, where he built Nineveh, Rehoboth Ir, Calah and Resen, which is between Nineveh and Calah; that is the great city. Almodad, Sheleph, Hazarmaveth, Jerah, Hadoram, Uzal, Diklah, Obal, Abimael, Sheba, Ophir, Havilah and Jobab. All these were sons of Joktan. Geographical distribution: Later the Canaanite clans scattered, and the borders of Canaan reached from Sidon toward Gerar as far as Gaza, and then toward Sodom, Gomorrah, Admah and Zeboiim, as far as Lasha. Geography distribution: The region where they lived stretched from Mesha toward Sephar, in the eastern hill country. These are the sons of Shem by their clans and languages, in their territories and nations. This table carries on the family of Noah introduced at 9:19, and the inserted labels “generations” are tentative, for the names are dynastic. On some counts, the number of nations and sons come to seventy (the remark about the Philistines is an aside, so says Wenham 77, in Halton). The number seventy again looks like artifice or is deliberate as a multiple of seven. The genealogy of Japeth shows his seven sons and seven grandsons. Cush has five sons and two grandsons (seven). Mizraim (Egypt) has seven sons. Col. 1 = sea people; col. 2 = urban people; col. 3 = Nomadic people. Eber in third column is where “Hebrew” comes from. This genealogy is both vertical (linear or straight descent) and horizontal (segmented). Names: individuals, locations, people groups; each is progenitor of other children not part of Israelite ancestry, in the known world. The main goal is to relate (future) Israel to ancient peoples. They are not found in the Bible, but one or two parallels (specifically the number of generations) with the biblical genealogies are clear. Parallelophobia = an excessive fear that if the poetry, stories, genealogies, concepts, and histories in the Old Testament look like those of the Ancient Near East, then these parallels detract from the reliability and inspiration of Scripture. Reply: But even the New Testament authors were inspired to quote from pagans: Acts 17:28; 1 Cor. 15:33; and Titus 1:12. So there is nothing to fear from parallels in the Old Testament with the ancient Near East. The Sumerian King List is dated around 2000 B.C. Nimrod in the biblical genealogy (Table Five) was also a mighty city builder. These kings lived before the Sumerian version of the flood. After the flood, thirty-nine kings rules for a total of 26,997. The Bible trims the antediluvian ages, such that no one lived over a millennium, indicating their humanness, not demigod status. However, Hartman (29-30) and Malamat (165) and J. Finkelstein (1963, 44) say the repetition of ten in genealogies of Gen 1-11 probably parallel Western Semitic (Amorite) tribes and their ten generations. But the author/s of Genesis did not directly borrow from them; the organizing principle of ten was “in the cultural air,” so to speak. Table Two, above, has eight generations with Lamech’s sons. No. 6 should probably read Enmenduranna (but I am not a specialist in that ancient language). No. 10 is not the only number in the Sumerian king lists (see Table Six), but the number still adds to the interest of ten in Genesis. The biblical author/s greatly reduced the ages of antediluvian individuals to below a millennium, indicating their humanity, not godlike status. Hasel 366 has another table of seven or eight generations (text is unclear whether seven or eight). Berossus was a Babylonian priest in 3rd century B.C. I don’t know which sources he used, but he surely had access to ancient records. He believed that the Babylonians counted their kings by ten from creation to the Flood. Since his list comes later than the OT, this list cannot be a source for the genealogies in Genesis, but again the number ten is interesting for Genesis. As noted several times now, the biblical authors greatly trimmed the ages of the antediluvian persons, to indicate their humanity, not any godlike status. Hasel 366; Hamilton 252, note 8. Not shown: Genealogies of the western Semitic tribes (Amorites), which scholars say also have a penchant for generations of tens. They have not been translated yet, or I have not been able to find them. This section references scholars who discuss the best way to interpret those tables. The ante- and postdiluvian lines (i.e. Adam and of Shem, respectively), symmetrically arranged to a ten-generation depth, are undoubtedly the product of intentional harmonization and in imitation of the concrete genealogical model (Malamat 165). In other words, the author of the genealogies in Gen. 5-11 was a man of his own times and his genealogies are stylistic and not to be taken ultraliterally. 3. But then Wilson says that some of the later “OT genealogies are potentially valuable historiographical sources” (ibid. 202). He explains this potential accuracy, in the next point. 4. Finally, Wilson insightfully adds that asking which (later) genealogy is historically accurate would be a mistake. “All of them are accurate when their differing functions are taken into consideration” (ibid. 215). By “functions” he means their purpose or role in the domestic sphere (kinship and relationships), political-jural (support monarchies), and religious (priests). He does not necessarily mean numerical or mathematical accuracy. 5. David Tsumura adds that the genealogies surrounding the Genesis author are a formulaic pattern. “Thus the ten-generation scheme of the ancient Near Eastern genealogies might be taken as a formulaic pattern of the Genesis account of the primeval history” (Tsumura 50). 6.Victor Hamilton, a conservative scholar, says that the genealogies in Genesis stem from Western Semitic tribes and their penchant for ten generations. One must not add up the numbers to find the age of humanity. The question is whether it is a better explanation to interpret the numbers as having some symbolic or rhetorical significance to the original audience (even if we don’t know what that is), or that they were just a straightforward listing of numbers the way we would use them today. Knowing what we do about the culture, and in the absence of any persuasive reasons for thinking that the ages of these men were so radically different than they are today, it seems that a symbolic or rhetorical interpretation is a legitimate option and maybe even a preferable one. The important question to ask is: Is Genesis, and the record of the patriarchs from Adam to Abraham, to be considered mythological or historical? Ironically, by interpreting the numbers of Genesis “literally” Christians have created a mythological world that does not fit with the historical or scientific record. Or as Hyers aptly put it: “unwittingly, ‘literal’ or ‘concordist’ [harmonizing the Bible and modern science] views are secular rather than sacred interpretations of the text.” The “literal” (or numerical) view is secular while the “symbolic” (or numerological) view is sacred because that is how the original biblical author(s) intended for it to be. To faithfully interpret Genesis is to be faithful to what it really means as it was written, not to what people living in a later age assume or desire it to be. It is also ironic that the mythological world created by many well-intentioned and serious “literal” Christians, based partly on the numbers in Genesis, has caused millions of people to reject the Bible and the truths contained therein. Please click on her linked article and read the whole thing. She got help from mathematicians and it is brilliant. The author of the genealogies in Gen. 5-11 followed the conventions of his own times, just as we would if we wrote up a genealogy today. The number ten is a representative genealogical formula throughout the Ancient Near East, including Gen 5-11. Seven and seventy are also important numbers in the generations. The repetitive appearance of these numbers looks like artifice and not accurate in the modern sense–but accurate in the ancient, sacred sense. Therefore, it is unwise to over-interpret these genealogies towards literalism. The linear (vertical) genealogies show the generations, while the segmented (horizontal) ones show territory and skills (Table of Nations and Lamech’s three sons, for example). Another purpose of (later) genealogies is to express a charter for landholdings (Wenham 76, in Halton). Nowadays scholars say that the author of the genealogies in Gen. 5-11 may not have directly borrowed and directly copied from a specific list or genealogy in the Ancient Near East, but these numbers were “in the air,” culturally speaking. Scholars (mostly) agree that it is more likely that the Western Semitic (Amorite) tribes influenced the genealogies in Gen. 5-11 than the Sumerian King Lists influenced the genealogies in that section of Scripture. The Amorite genealogies also show generations of tens. The Sumerian King Lists were shown here just to inform the reader that ten is a common feature of genealogies throughout the ancient Near East. The genealogies of Gen. 5-11 are elliptical, condensed, representative, patterned, formulaic, harmonized, stylized, and dynastic. Therefore, ultraliteralism (or just plain literalism) is out of place, and the scholars in the section “How to Interpret Biblical Tables” agree. Therefore, the early genealogies are stylized to fit a sacred story, not modern tastes and demands. Therefore, adding up the numbers literally, as written, is needless and misguided. For pastors, the words of commentator Bill Arnold work out for sermons on biblical genealogies. He writes: “Gen 10 thus prepares ancient Israelites to embrace their identity as the people of God. Similarly, it prepares today’s readers for the rest of Genesis account, and therefore, for the rest of biblical literature, as a means of embracing one’s own identity in the ongoing saga of God’s story” (119). He wrote that about Gen. 10, but it works for all the genealogies in Gen. 5-11. Since the number ten is one key to understanding genealogies in the primordial beginnings, and the entire book of Genesis, here are just some of other significant tens throughout Scripture. No one born of foreigner can enter assembly of Lord to tenth generation (Deut. 23:2). There are too many examples of seven to list here—the most numerous digit of all. Arnold, Bill T. Genesis (Cambridge UP, 2009). Blocher, Henri. In the Beginning: The Opening Chapters of Genesis. Trans. David G. Preston. (InterVarsity, 1984, orig. in French, 1979). Cassuto, Umbeerto. A Commentary on the Book of Genesis. Vols. 1 and 2. Trans. From Hebrew by Israel Abrahams. (Magnes P, Hebrew University, 1944, 1949 [Hebrew], and 1961 and 1964 [English]). Christiansen, Duane L. “The Mysterious Numbers of the Age of the Patriarchs.” No journal, no date. Finkelstein, Israel. “The Historical Reality behind the Genealogical Lists in 1 Chronicles.” Journal of Biblical Studies vol. 131 no. 1 (2012) 65-83. Finkelstein, J. J. “The Genealogy of the Hammurapi Dynasty.” Journal of Cuneiform Studies (The American Schools of Oriental Research) vol. 20 no. 3 / 4 (1966) 95-118. —. “The Antediluvian Kings: The University of California Tablet.” Journal of Cuneiform Studies (The American Schools of Oriental Research) vol. 17 no. 2 (1963) 39-51. Harris, R. Laird, Gleason Archer, and Bruce K. Waltke. Theological Wordbook of the Old Testament. (Electronic ed. Chicago : Moody Press, 1999, c198). Hartman, Thomas C. “Some Thoughts on the Sumerian King List and Genesis 5 and 11B.” Journal of Biblical Literature vol. 91 no. 1 (1992) 25-32. Hasel, Gerhard F. “The Genealogies of Gen 5 and 11 and Their Alleged Babylonian Backgrounds.” Andrews University Seminary Studies vol. 16 (1978) 361-74. Hess, Richard S. and David Toshio Tsumura, eds. “I Studied Inscriptions from Before the Flood”: Ancient Near Eastern, Literary, and Linguistic Approaches to Genesis 1-11. (Eisenbrauns, 1994). —. “The Genealogies of Genesis 1-11 and Comparative Literature.” Biblica vol. 70 no. 2 (1989) 241-54. Hill, Carol A. “Making Sense of the Numbers in Genesis.” 55 (no. 3) 2003 the American Scientific Affiliation. Jacobus, Helen R. “The Curse of Cainan (Jub. 8.1-5): Genealogies I n Genesis 5 and Genesis 11 and a Mathematical Pattern.” Journal for the Study of the Pseudepigrapha vol. 18.3 (2009) 207-32. Keathley, Kenneth, J. B. Stump, and Joe Aguirre. Old-Earth or Evolutionary Creation? Discussing Origins with Reasons to Believe and Biologos. (InterVarsity Academic, 2017). Loubser, J. A. “Invoking the Ancestors: Some Socio-Rhetoric Aspects of the Genealogies in Matthew and Luke.” Neotestamentica vol. 39 no. (2005) 127-40. Malamat, Abraham. “The King Lists of Old Babylonian Period and Biblical Genealogies.” Journal of the American Oriental Society vol. 88 no. 1 (1968) 163-73 (reprinted in Hess and Tsumura). Robinson, Robert R. “Literary Functions of the Genealogies of Genesis.” The Catholic Biblical Quarterly vol. 48, no. 4 (1986) 595-608. Simmons, J. “The ‘Table of Nations’ (Genesis 10): Its General Structure and Meaning.” In Hess and Tsumura. Skinner, John. A Critical and Exegetical Commentary of Genesis. 2nd ed. (T & T Clark, 1930). Stump, Jim. “Long Lifespans in Genesis: Literal or Symbolic?” Oct. 2017 (orig. Jan 2014) Biologos.org. Tsumura, David Toshio. “Genesis and Ancient Near Eastern Stories of Creation and Flood: An Introduction.” In Hess and Tsumura. Westermann, Clus. Genesis 1-11: A Commentary. Vol. 1 Trans. John J. Scullion. (Augsburg, 1974). 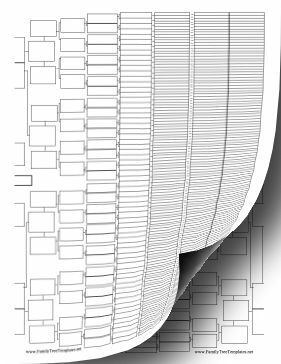 Wilson, Robert R. “The Old Testament Genealogies in Recent Research.” In Hess and Tsumura, eds. —. “Genealogy, Genealogies.” The Anchor Bible Dictionary. Vol. 2, pp. 929-32 (Doubleday, 1992). Wiseman, D. J. “Genesis 10: Some Archaeological Considerations.” In Hess and Tsumura. This entry was posted in Bible and Theology and tagged Biblical genealogies, Genealogies in Genesis, Genealogies in genesis 5-11, Meaning of tȏlědȏt by james malcolm. Bookmark the permalink.